The Western Wake Alumnae Chapter of Delta Sigma Theta Sorority believes in service from the heart. Their vision states “To implement relevant and sustainable programs that help improve our Community and our Delta Legacy of Sisterhood, Scholarship and Service.” Although newly chartered in April of 2011, membership has tripled and their service to the community with innovative programs and support projects has been outstanding. This passionate group has sponsored voter registration drives, and have volunteered their time and efforts to help organizations such as Dress for Success, Raleigh Correctional Center for Women, and Operation Christmas Child. They also sponsor the EMBODI (Empowering Males to Build Opportunities for Developing Independence) Program which awards scholarships to high school seniors in Wake County. This wonderful group of ladies also sponsors The RED Shoe Affair Fashion Show and Silent Auction. This event is geared toward raising money for their scholarship opportunities. This year, the event was held at the modern and elegant Goels Plaza in Morrisville. 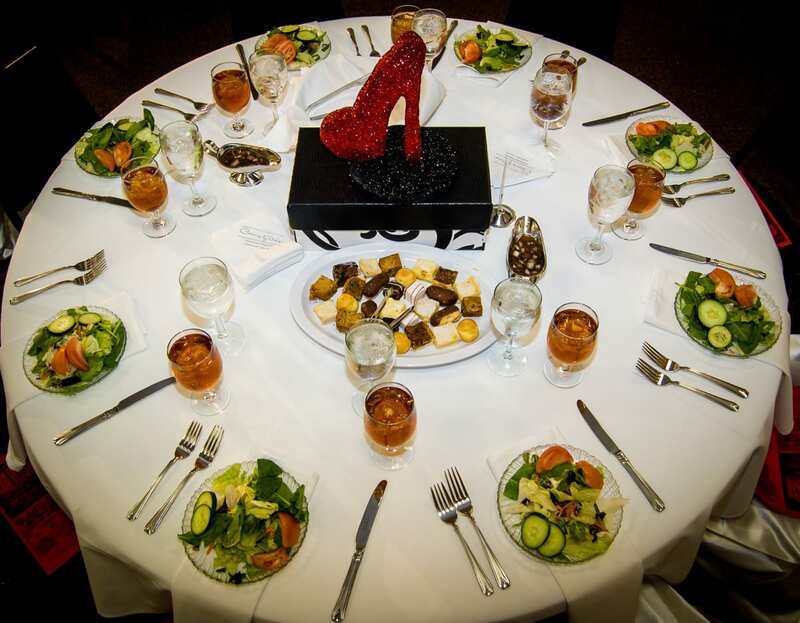 It is the largest privately owned banquet facility in the eastern part of North Carolina. It is consistently rated among the Top 5 facilities and is centrally located in The Triangle. It is only a few minutes from RDU Airport, lots of hotels and business centers, major universities, and great shopping. Goels Plaza is very spacious, hosting roughly 38,000 SF and is versatile enough to accommodate business, personal, or other social events. For the second year in a row, we were honored to provide the meal for this event. 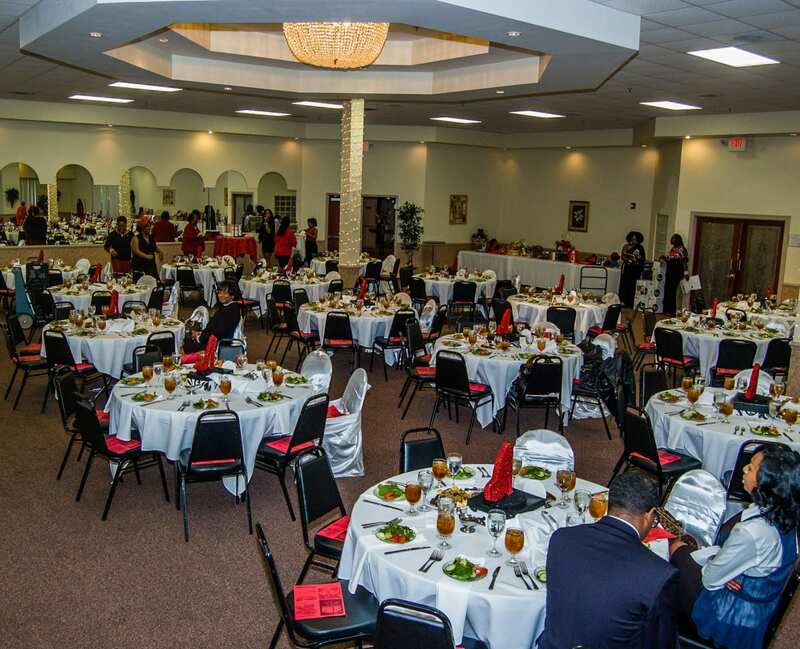 With over 500 people in attendance, we had all hands on deck to deliver smiles at each table. 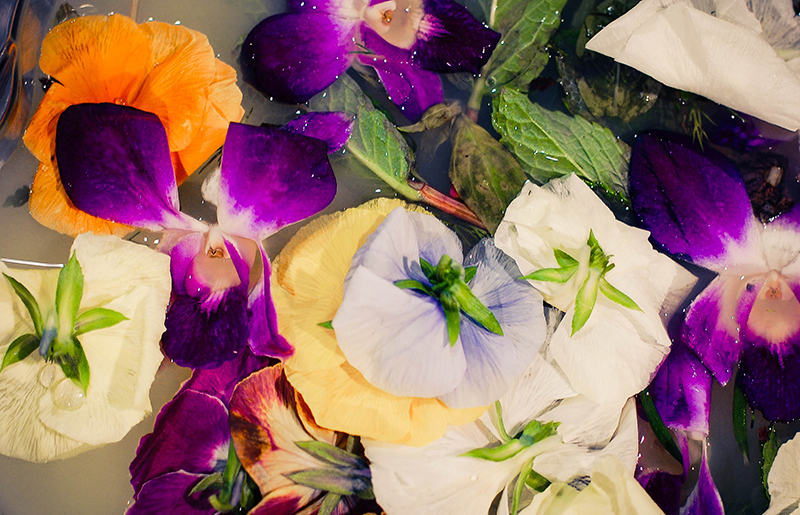 We’ve posted a few of our favorite images here, to see the entire gallery you’ll have to check us out on Pinterest. Before all the guests arrived, we pre-set each table with a beautiful salad of Mixed Greens with Tomatoes, Cucumbers, and finished with our homemade House Vinaigrette. 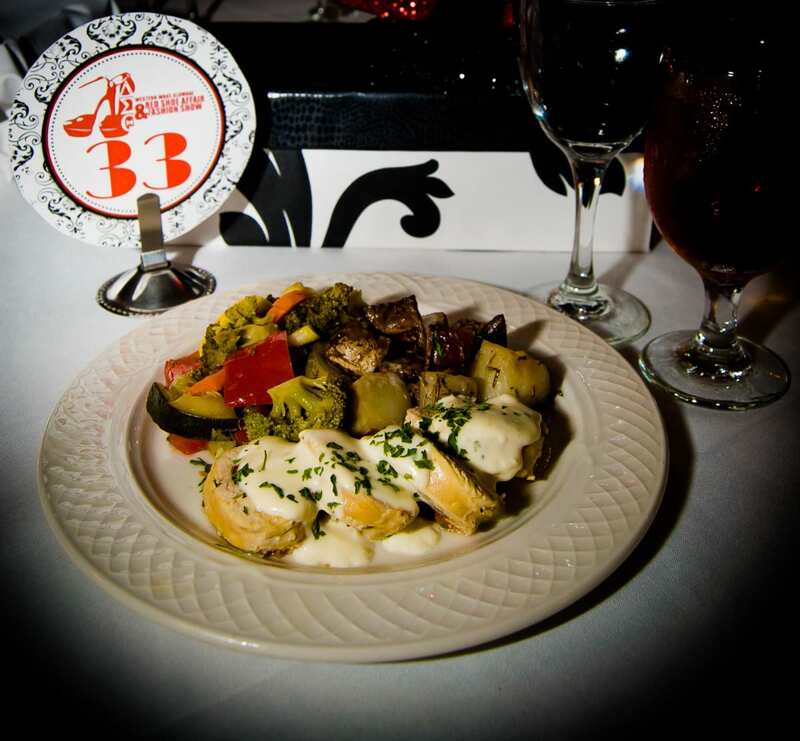 For dinner, guests were butlered a beautiful plate featuring Roasted Chicken Breast Stuffed with Portobellos, Sundried Tomatoes and Vermont White Cheddar with Rosemary Red Potatoes, and a Saute’ Vegetable Medley. Bread Baskets of Assorted Rolls with Butter were supplied for every table. Dessert was served family style at each table. 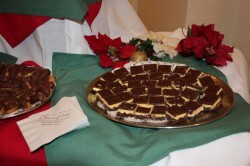 Served were Assorted Miniature Desserts of Lemon Squares, Chocolate Bites, Éclairs, Crème Puffs and Cannolis. 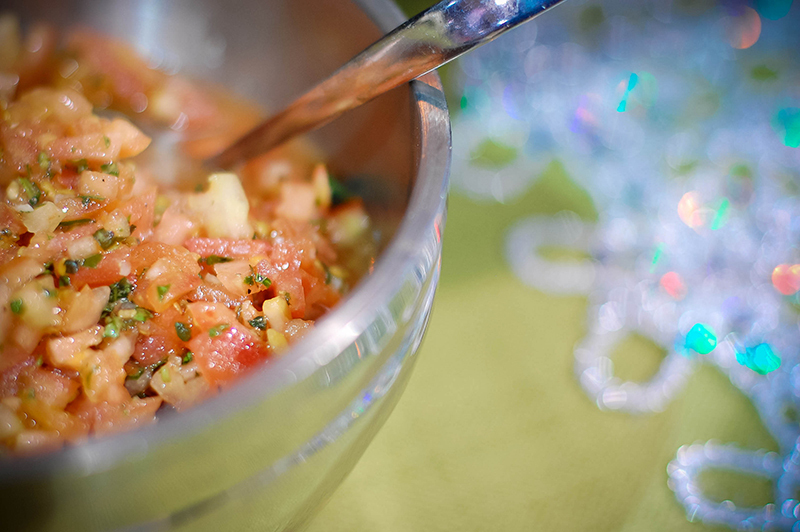 We’ve been the go-to Raleigh event catering experts for decades. We specialize in serving the best flavors made from the finest local ingredients. 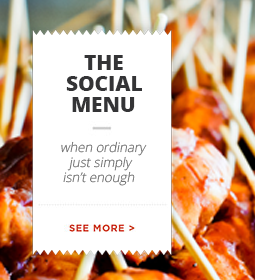 Our menus are suitable for any budget and occasion. 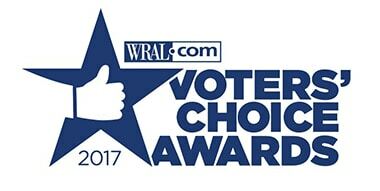 If you want to partner with a Raleigh event catering company that focuses on food, fun and top rated customer service, call us today. There is nothing like being outside, cooking over an open fire during the autumn season. Cooking outdoors is one of my favorite things to do. It’s not like cooking in a kitchen and can be really intimidating, but it does not have to be. Campfire cooking can be as easy, or as difficult, as you want to make it. In this post, we are going to focus on the easy side of campfire cooking. After all, going camping is about having some fun and getting some time to relax in nature without the hustle and bustle of the city to stress you out. 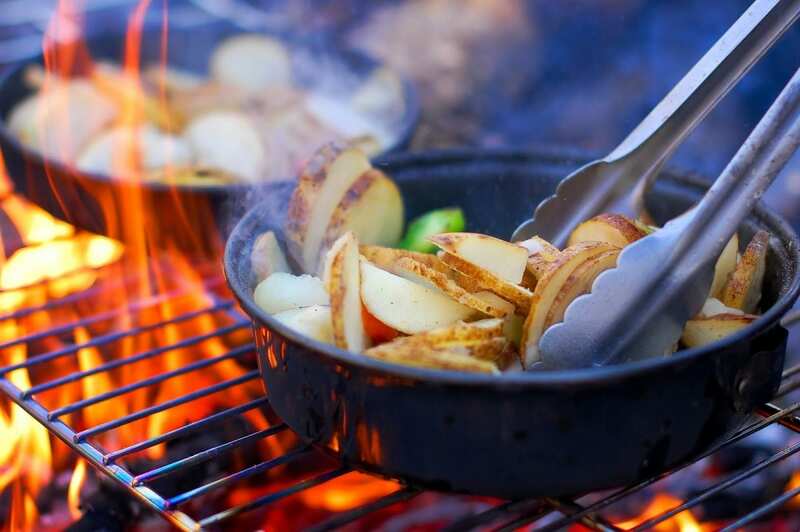 So, whether you are cooking outside in your fire pit, or cooking for your family and friends during a campout, we hope these tips will help you plan the perfect meal. Cooking over an open fire does not have to be hard, or scary. Some people freak out about having an open flame so close to them; I’ve seen friends think they were going to catch on fire trying to cook dinner. You don’t have to feel this way – campfire cooking can be really easy. One of the easiest methods that I use when camping is to cook as much as possible inside a tinfoil pouch. You can literally cook hundreds of different meals inside a tinfoil pouch. And talk about easy! Baked Potatoes might be the best and easiest things ever to cook in a fire. All you need to do is wash them first and then wrap them up in tinfoil. Your tinfoil sheets should be big enough that once you wrap your potatoes, you’ll have some extra foil to twist together and make handles. You’ll also want to use at least two layers of foil to keep your baked potatoes from burning. Next, all you do is just toss them into the fire. I let mine cook for about one hour and I turn the potatoes about once every 20 minutes to ensure the potatoes are cooked all the way through. Another good reason to use tinfoil for cooking is because you can make your meals early before you go on your trip. Some tin foil pouch meals can even be frozen ahead of time. These tips will save you a lot of time in prepping, cooking, and storing. In continuing to talk about tinfoil cooking, nothing is better than the Hobo meal. You, your brother, husband, uncle, or friend might have spent some time in the Boy Scouts and during that time they likely ate many campfire hobo meals. 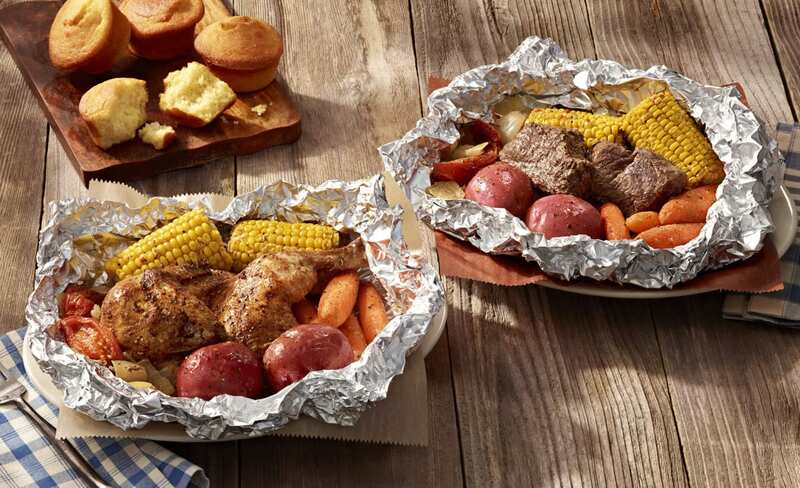 These delicious meals are the epitome of tinfoil cooking. The variety of different hobo meals you can make is mind blowing. Just let your culinary imagination run wild. You can cook chicken, pork, beef or fish in tinfoil. Layer your veggies on both sides of the protein, add a little olive oil, wrap in lots of tinfoil and toss into the fire. Hobo meals can cook between 30 minutes to an hour depending on the meal you are making. Click here for some hobo meal inspiration. 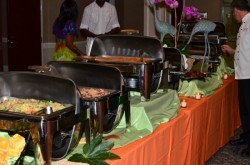 At Catering By Design, we do more than just cater weddings. 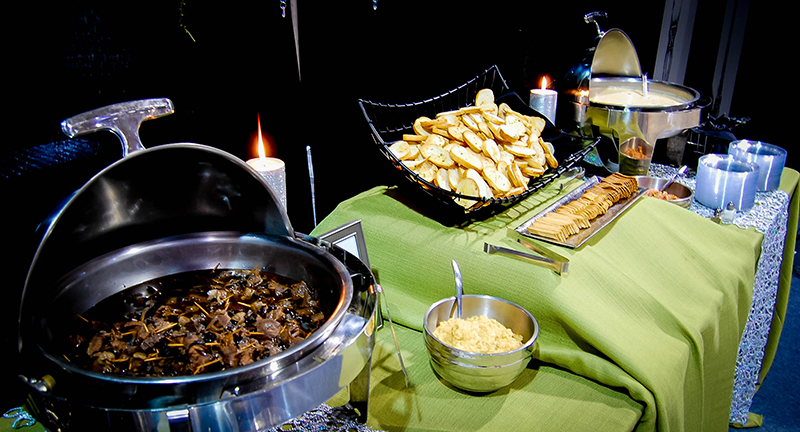 We cater holiday parties, special events like winter graduation celebrations, as well as social events such as networking events with the Chamber of Commerce. 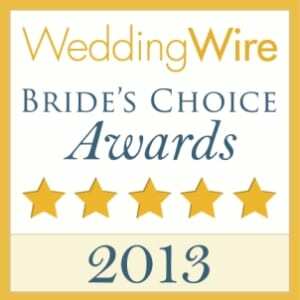 Call us today, we are the Raleigh special event catering experts and you will not regret it. We’re an award winning catering company that has been serving smiles to families across The Triangle for decades. 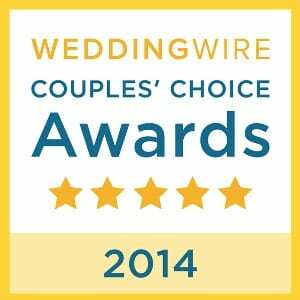 Have you been invited to a wine tasting or wine social? This year, wine tasting dinners or social events has been the latest trend in professional and personal social networking. Guests might mingle for after hours informal networking, or taste wine in between formal presentations. With hundred of wines to choose from, guests enjoy the chance to hear about the taste, history and unknown facts about wine. Wine tasting dinners are both fun and informative, especially when it includes your friends! 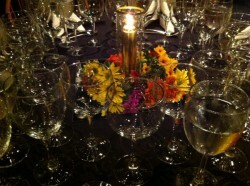 A number of restaurants in the Triangle currently offer monthly wine tasting dinners or social networking events. Consider having a wine tasting dinner for your next party or event, and Catering by Design will take care of full event, offering wine tasting, a full seated dinner or delectable dessert menu! Wishing you a wonderful New Years Eve! 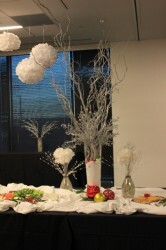 Here, at Catering by Design, we hope you have had a warm and wonderful holiday season! It’s the last day of the year, and we are celebrating!! Join Chef Greg Lewis at the Pittsboro Roadhouse & General Store this evening for a New Year’s Eve treat! The Pittsboro Roadhouse will be open all day, as usual, and then at 9:30 the New Year’s Eve Party will begin. We’ll have a $15 cover that includes Live Entertainment with ZamBamBooGee, Hors D’Oeuvres and Champagne for a Midnight Toast! All ages. Tickets $15. We are grateful for the trust and confidence our customers have placed in us, and promise to continue our tradition of excellent food, and exceptional service in 2013! From all of us at Catering by Design, we’d like to wish each of you the very best this coming new year! Did you know that Christmas breads in Greece are shaped like the domes of Orthodox churches? In Vietnam, abalone soup marks the lunar New Year. Check out these international holiday traditions from around the globe. While it’s easy to be enticed by the traditional Christmas tree cookies and gingerbread houses, the holidays are a time to celebrate our own unique heritage. Catering by Design can help you do that by incorporating your family’s recipes into your holiday catering menu, or providing authentic meals from around the world. Of course, you may want to provide the music and decorations to fully embrace your traditions, and we can help you with color, theme and style! 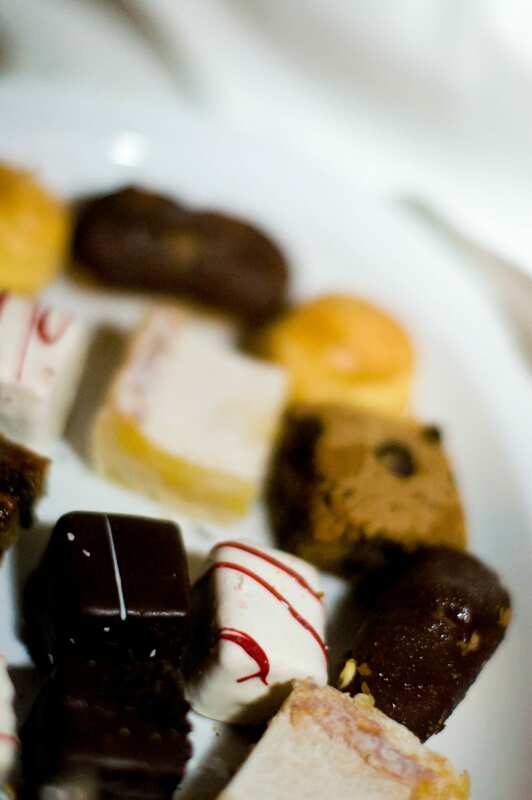 And check out these great tips on hosting your own holiday party! 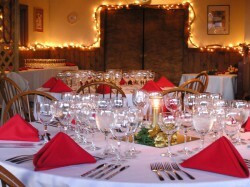 December is here, and holiday parties, luncheons, breakfasts and dinners are in demand! Businesses, Churches, Towns, Families and Friends have all been making reservations for holiday catering in Raleigh, Morrisville, Apex and Cary to name a few. 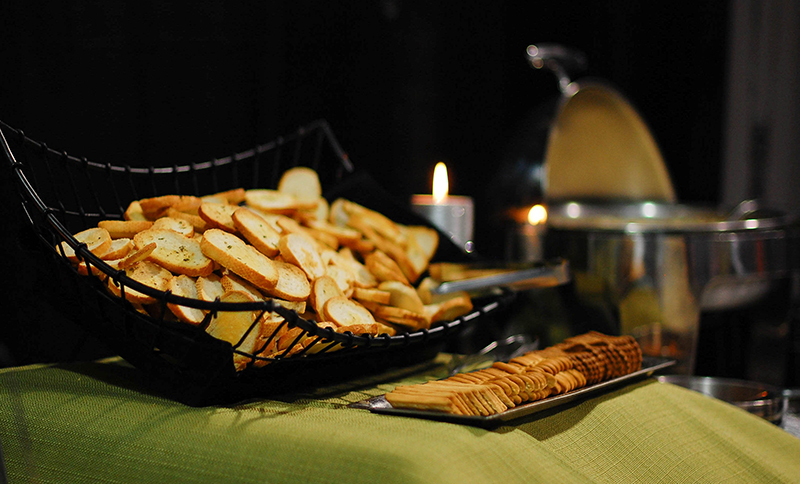 Be sure to book your holiday catering before we are sold out! Most organizations want our deliveries between 11am-12 noon, and we can deliver at any time the day of your event! We’re serving breakfasts, lunches and dinners for as few as 10 and as many as 1,000! 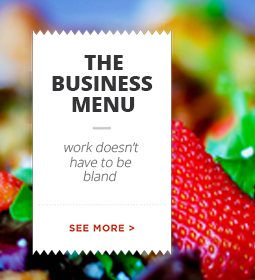 What can we cater for you? 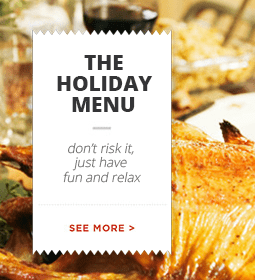 We have a special holiday menu, or you can create your own personalized menu! Let us make your holiday luncheon a great success!! Your holiday lunch will include disposable plates, flatware, napkins and cups. Whether you are having a small gathering of friends or a large holiday feast, you can enjoy the day of your party as much as your guests. 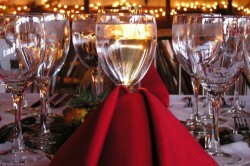 Check out these great tips for hosting the perfect holiday party! Write a numbered list of all the people you’re inviting, but count the number of people you expect to actually come. Consider inviting guests who know each other already or guests from different social circles to invite new meetings and conversation. Base the setup of your home and the amount of food and drinks on the numbers who are likely to be there! Decide where in your house would be best for the number of guests and the party games or activities you’ll do. Do you just need a TV, table for board games or more space for interactive games? Consider whether to move any furniture to make it easier for guests to circulate and be comfortable. Give enough space between furniture for your guests to move. 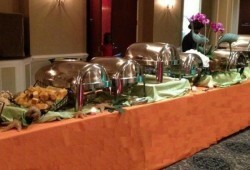 Dedicate three separate areas for your buffet, your drinks and your desserts, so guests circulate easily. Use an existing piece of furniture for each. Cover them with a festive tablecloth with plastic underneath to protect your furniture from spills. The holidays are festive times of the year, but it doesn’t mean you have to decorate every surface of your house. Be sure to incorporate your personal style into decorations, whether it’s simple, homemade, or chic. Once food and drink is set on the table, be sure to get out of the kitchen to enjoy your guests! In the weeks leading up to Thanksgiving, we have been delivering traditional meals with Slow Roasted Turkey with Homemade Gravy, Chicken Breast Stuffed with Portobellos, Sundried Tomatoes, Vermont White Cheddar, Cornbread Stuffing, Herb Roasted Sweet Potatoes and of course Pumpkin and Apple Pies for corporate holiday parties, family gatherings and social gatherings. Here at Catering by Design, we give our employees the Thanksgiving Day off to be with their families and friends for Thanksgiving. During this week, we want to say thank you to both our staff and all of you. We are so grateful for the work of our employees and staff, so thankful for those who continually call us to cater and serve for them, and thankful for new clients and those that are just now finding us. 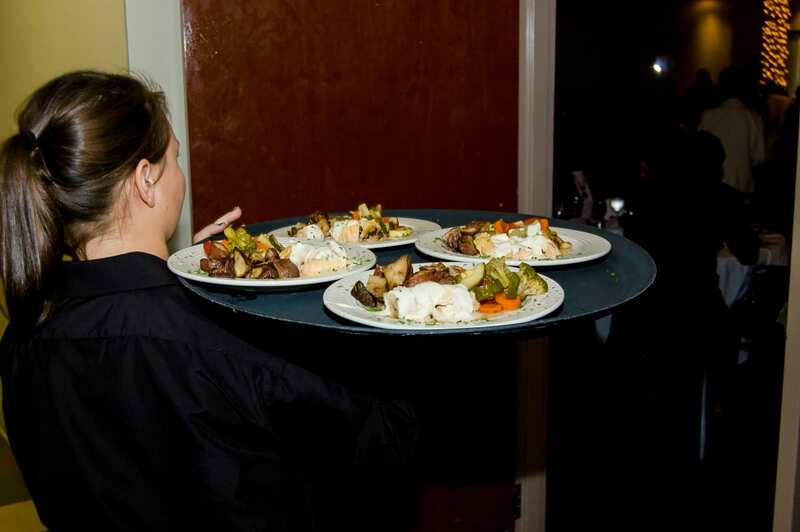 Catering by Design would not be one of the most successful catering businesses in the Triangle area if it was not for our amazing staff. 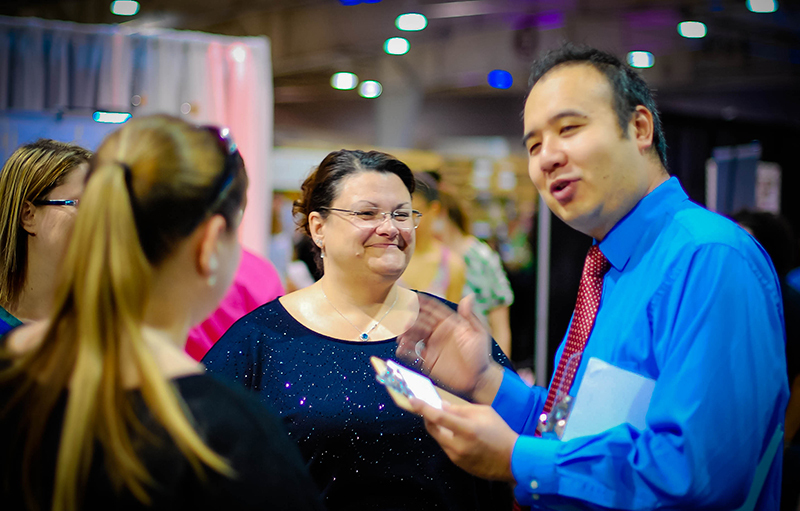 One weekend in October, we enlisted the service of every single staff member to host six events! 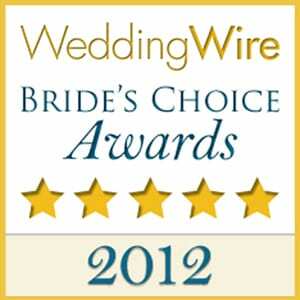 And the reviews we received were amazing. Throughout the year, we have served meals for so many weddings, and we think about those brides and grooms celebrating their first holidays together, we have attended sporting events in the spring and summer, events for service organizations and have catered for corporations across the Raleigh, Durham area. This Thanksgiving, we take a moment to give gratitude for all that we have to offer our community, and the ways in which our community supports us. 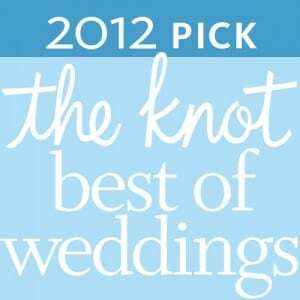 Are you looking to add some personalized excitement to your wedding reception or social event? Incorporate recipes, flavors and spice from around the world, or include your own family’s recipes into your menu plan! Adding an international flare brings cultures together, explores new tastes and delights from different countries, and embraces unique traditions! 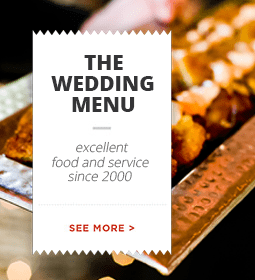 Here at Catering by Design, we offer international catering, with a variety of international menus, whether you are having formal reception or a fun fiesta with friends! Chef Greg not only offers individualized tastings, but can also incorporate your families own recipes- to make your event festive and unique! We recently received wonderful note after a “Toast to Spain” social event! Victor and I would like to extend our thanks to you and the entire Catering By Design team for catering our “Toast to Spain” event this past Saturday evening! All of our guests have poured out tons compliments regarding your service and the Spanish buffet, and we want to extend our highest compliments as well. We want to especially thank you for you efforts to help us secure authentic food items from Spain as well as Steve for working with us to customize the paella recipe — it was fantastic! I wish he could have been there to hear the positive feedback from our guests. Also, we want to thank your onsite staff at the party who helped everything to go smoothly. 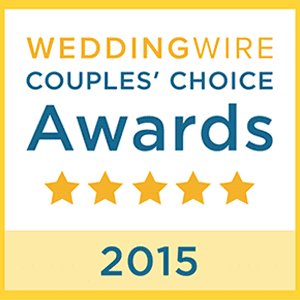 We were 100% satisfied, and thank you again! P.S. We ended up making a Torte de Santiago using Victor’s sister’s recipe. 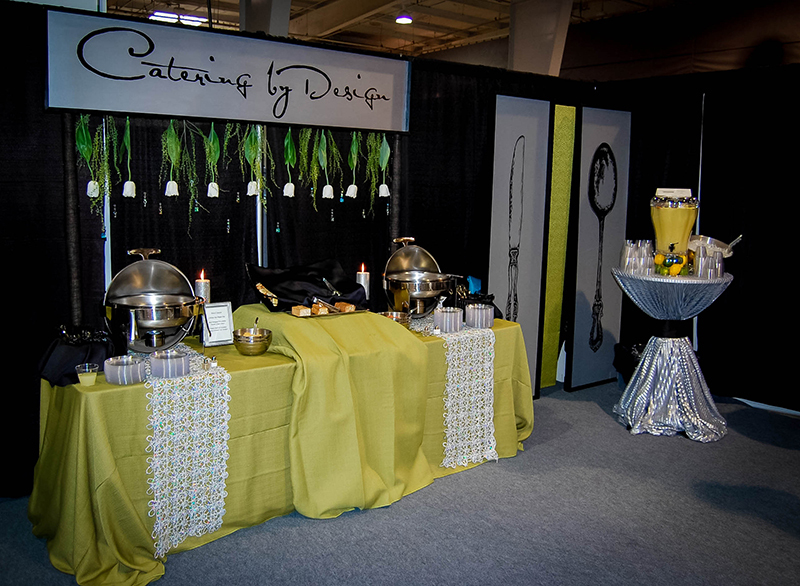 Read more Catering by Design reviews here!